Timeout for oneself is an often overlooked but essential part of our mental and physical health. However, in between business meetings, social events and relationships, taking time for ourselves often goes by the wayside. Unfortunately, self-neglect doesn’t do you any favors and actually causes more harm to your life then you might think. Being happy inside is the first step to beneficial working and personal relationships and self-reflection are crucial to this. If you aren’t already incorporating self-reflection into your wellness routine you should start now. 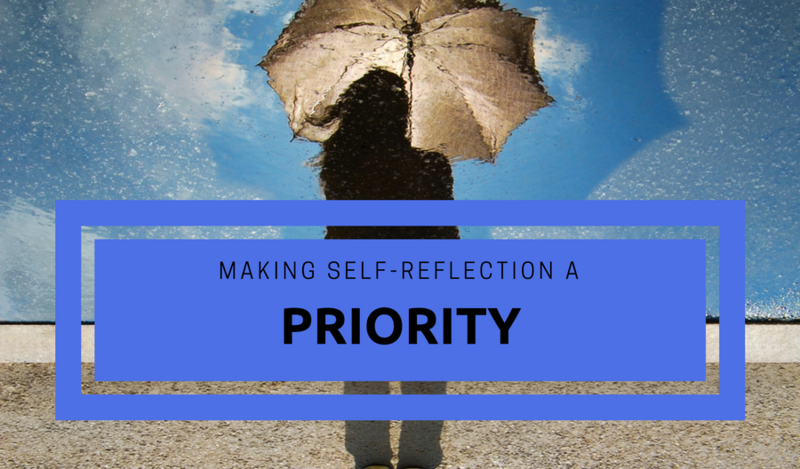 Read on for a glimpse at some of the benefits you can reap from self-reflection and a few tips to help make self-reflection a part of your routine. So why should you incorporate self-reflection into your life? For starters, self-reflection is a great way to keep you on track with your goals. We’ve all been in the position where we are amped up to set some goals (especially around this time of year) and have the best intentions of reaching them but end up falling short of what we were aiming for. By incorporating self-reflection into our lives we are able to check in on those goals. Are you in the same spot as the last time you took some time out to reflect? Maybe something isn’t working and you should use this time to reconstruct your plan to meet your goals. Another great subject to touch on when reflecting is: How am I spending my time? Time is the only thing we will never get back. Make sure you’re spending it on something useful or meaningful to you. You might find yourself spending too much time in front of the TV or spending too many late nights after hours at work. Take note of how you spend your time and how it affects you. After, make changes to your habits in order to strive towards a healthier you. Self-reflection can be used as a tool to check yourself. Thinking back on particular situations, could you have handled it better? How are your interactions with others? Coworkers, peers, significant others, your kids? Do you ever find yourself being less than friendly to any of these groups? Taking the time to reflect and realize the root issue behind any negative interaction you might have is the first step to making the next interaction a better one. We all have bad days but a continuous cycle of certain behavior might point to a deeper rooted problem that has nothing to do with the person or group you’re interacting with. • Keeping a notebook or journal is extremely helpful when it comes to self-reflection. This makes it easy to look back onto what you had planned last time. You don’t have to actually write it down with pen and paper; you can keep notes on your phone or tablet. The key here is to have a record of your thoughts for later reflection. • We all have busy schedules so the best way to stay on top of the fact that you have limited time is to plan ahead and calendar in time for self-reflection. It doesn’t have to be every day or even every week. It’s up to you how often you would like to sit down and reflect. Whichever you choose just make sure that you don’t let enough time lapse to where you regret not making changes sooner. • Another tip for keeping up with self-reflection is to make it fun. Self-reflection shouldn’t feel like a chore; try turning it into an event that you look forward to. Schedule your reflection time at your favorite café or coffee shop. Or make an evening out of it and book a table for one at that Italian restaurant you love. If it’s something you enjoy doing you’re more likely to keep up with it.